At first glance, it doesn’t add up; why is Azerbaijan, a country brimming with oil and gas, interested in developing nuclear power capacity? It’s a question befuddling local experts and environmental activists in Baku. But the questions don’t stop there. Under a May 8 executive order, Azerbaijani President Ilham Aliyev has given responsibility for the nuclear project not to the Ministry of Energy or the Ministry of Industry and Economy, but to the Ministry of Communications and High Technologies, specifically, to a National Center for Nuclear Research that is answerable to the ministry. The executive order stressed that Azerbaijan’s nuclear capabilities would be “for peaceful purposes,” according to Azerbaijani news outlets. In 2008, the International Atomic Energy Agency (IAEA) issued to Azerbaijan a preliminary agreement for construction of a single 10-15-megawatt nuclear reactor for research purposes. Baku has not yet formally applied to the IAEA for an agreement about additional reactors. The nuclear facility would be situated on a plot of government-owned land 15 kilometers north of the capital, Baku. Abbasov, a 61-year-old native of President Aliyev’s ancestral Nakhchivan region with a doctorate in microelectronics and a passion for digital IT, has no experience in nuclear energy. Nor, for that matter, do any of his deputies. Baku’s interest in developing nuclear power dates back to the Soviet era. Those plans were mothballed amid the 1991 collapse of the Soviet Union, as well as Azerbaijan’s involvement in a prolonged conflict with Armenia over the Nagorno-Karabakh enclave. France, which generates over three-quarters of its energy from nuclear power and already has longtime energy ties with the Aliyev administration, apparently senses an opportunity. During his May 12 trip to Baku, French President Francois Hollande mentioned that unspecified French companies are willing to work with the Azerbaijani government on the construction of a nuclear-power plant. Earlier, Abbasov had named VINCI Construction Grands Projets, one of the world’s largest builders of mega-infrastructure facilities, as among the French concerns interested in getting involved in the nuclear project. The country’s economic growth rate is relatively brisk; the Asian Development Bank projects up to 5 percent growth for 2014. Economist Natik Jafarly believes that oil-and-gas-rich Azerbaijan already has the energy and electricity it needs to keep its economy going strong. According to official data, Azerbaijan in 2013 consumed 20.6 billion kWt/h of electricity out of a production supply of 21.5 billion kWt/h. The extra supply was exported to neighboring Georgia and Russia. Azerbaijan, though, does not produce uranium or nuclear fuel, and would have to look for exporters. “It will make Azerbaijan dependent on uranium price-changes and also politically dependent [on exporting countries],” argued Jafarly, head of the non-governmental Society of Economic Bloggers. The government has not named any possible sources for such uranium supplies. 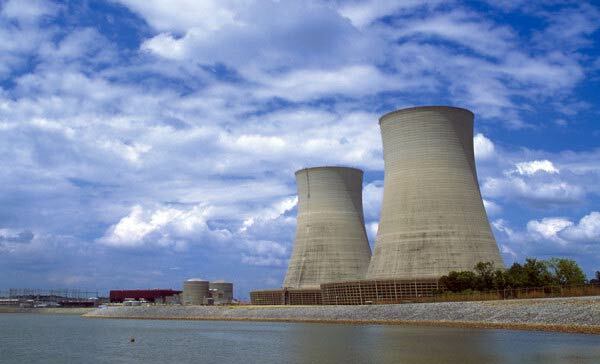 Other experts believe that the plant will not generate power. In February 2012, the director of Azerbaijan’s National Academy of Sciences’ Institute for Radiation Problems, Adil Garibov, told ANS TV that the government would build a reactor strictly for research purposes, including the production of isotopes for use in medical treatments. Garibov added that his institute had hired 16 young physicists who were being trained at nuclear centers abroad for such tasks. Whatever the project’s purpose, environmentalist Farida Huseynova, head of the Greens Movement of Azerbaijan, believes that the 2011 Fukushima and 1986 Chernobyl nuclear disasters show that the dangers of nuclear power outweigh the benefits for a country like Azerbaijan. “Supporters of this project say that Azerbaijani scientists will get the chance to conduct nuclear research. However, there are very few such nuclear physicists in Azerbaijan and they could do their research in other countries,” Huseynova said. Rather than nuclear power, building up alternative energy resources well suited to Azerbaijan’s climate and geography - hydropower, solar power or wind power - would be preferable, she underlined. Jafarly agreed, noting the contradiction with the Azerbaijani government’s long-term demand that neighboring Armenia close its 38-year-old Metsamor plant, currently the only nuclear facility in the South Caucasus, because of its regional environmental risk. “Since Baku consistently demands the closure of the Armenian plant, it is not clear why the government wants to create a new threat on its own territory,” Jafarly said. As yet, government officials have not commented publicly on the nuclear project. About the author: Shahin Abbasov is a freelance correspondent based in Baku. * This article was first published by EurasiaNet and was reprinted here with permission.